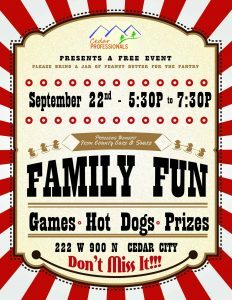 The Iron County Care & Share in Cedar City is having a family fun actrivity Friday, September 22, 2017 at the Iron County Care & Share. There will be games, hot dogs and prizes! Please bring a jar of peanut butter for the pantry. Proceeds benefit the Iron County Care & Share. 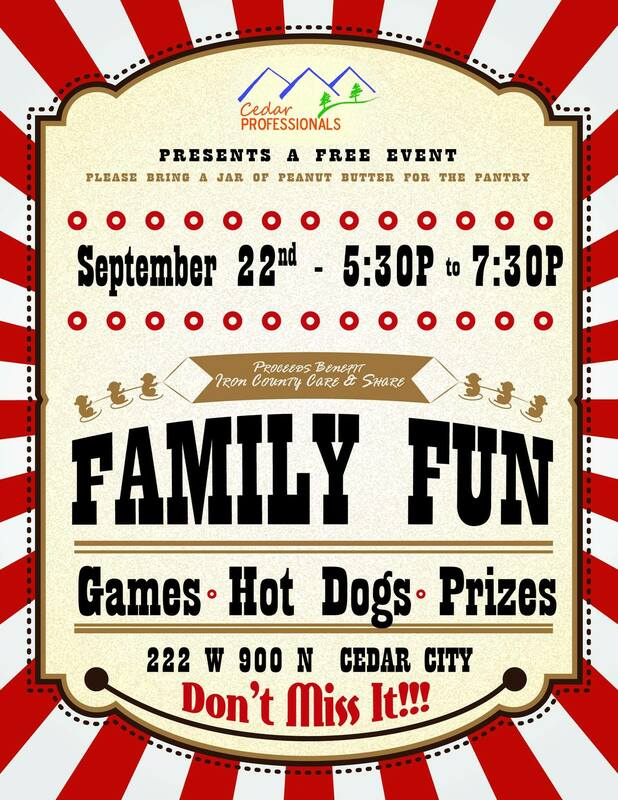 This free event is presented by the Cedar Professionals. This event has been added to our calendar.